Halti's - Give me Strength! Thought I'd share my thoughts on my findings with the above product. Having 2 Chows thought I'd try and make my life easier and try the above product out. As with most things I've read mixed reviews and for a couple of quid thought I'd try them. So I got 2 sizes and have to say they'll be going in the bin! For some reason the sizing of the actual top strap allows them to be removed very easily by my pair. The size 2 unit just about fits around the back of the head leaving a couple of fingers of space, however the actual top strap still remains loose. They have no way of adjustment on them either. So my visions of easy walking in the future have yet again been shattered I have started to correct them much more on the lead, the problem is they're never playing up at the same time - they take turns. So next step is to get them out more on their own, easier said than done of course but hopefully that will help. Re: Halti's - Give me Strength! I took Bramble's halti to pieces and redesigned it to fit her face. They are not made for chows. I gave up using it although it worked very well because it was making a squashed down mark on her nose fur that I didn't want when showing her. We have gone to a slip lead worn high up on her neck after trying all lead options known to man and dog. It is getting through to her a bit when on familiar walks but when in a new place with new smells, sights and sounds nothing would get through to her at the moment. I am really hoping as she gets older she will settle a bit!!!! have to agree canny collars are much better for chows. 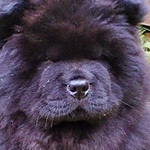 I use a gencon on my huskies, but it would be useless on the chows being shorter in the face. They respond really well to them. I have them high on their necks, they don't pull, and even if they do it's only a slight tug and they straighten up. I prefer these to anything else I've tried. But I also use harnesses for hikes and when I don't really wanna "control" them. Last edited by Tippsy'smom on Tue Jan 26, 2010 3:42 pm, edited 1 time in total. When Milly and Mabel were about 12 months old, the kicked off with their ordinary collars and short leads so we bought them harnesses and also long 27 ft. pony lunge reigns and all the aggro disappeared at once. They loved their walks and we could rein them in when needed. Mabel still loves hers and Matilda has a smaller size harness - soon to be outgrown me thinks - but she has a short lead still. It seems M & M thought that they did not wish to be ruled but rather rule their walks. We were still in control but they thought they were. I bought Ceasar's illusion collar because the choke chains were breaking the hair around her neck. The only thing about ceasar's collar are too many buckles especially when she knows shes going for a walk and you need lots of light with a black collar and a black dog but it did help me control and make her heel. I'm an ex military man and i like a dog that is by my side, not pulling me down the street. I did find something better and that is the choke chain with material weaved in and out of the links. It does not break the hair and after one year she is walking with me and not pulling me like a sled. I use the gentel leader harnesses that have a ring for their retractable leashes under their neck. They work wonderfully. When I was recovering from my cancer surgery 18 months ago and had to change the way I walked JR and Cheyenne to make it a little easier for me to walk them both....2 of the members here sent me a gift card to Petsmart to get those harnesses. They are the best! Thank you for the idea of the martingale collar, I purchased one on Sunday and it's the best so far. No chains to break the hair and you can control my little ants in the pants. On Monday she backed right out of it. At 70 yrs old I ran 1/4 of a mile to catch her, I take it back about the martingale. I cannot make it any tighter or I won't get it over her head. I'm sticking with the choke collar.I'm still out of breath. Yikes! So Sorry that you had to chase her down like that! 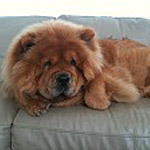 With the Gentle Leader, would you recommend the large size for a Chow? I have found the best product to stop pulling is the Spornhalter it goes under the front legs and prvent sthem pulling.I can walk my 75 lb chow-pit mix no problem with this harness.I have used it walking 2 dogs at a time with one hand.It is available from Drs,Foster and smith or Jeffers pet supply and some Petsmarts.Great product! 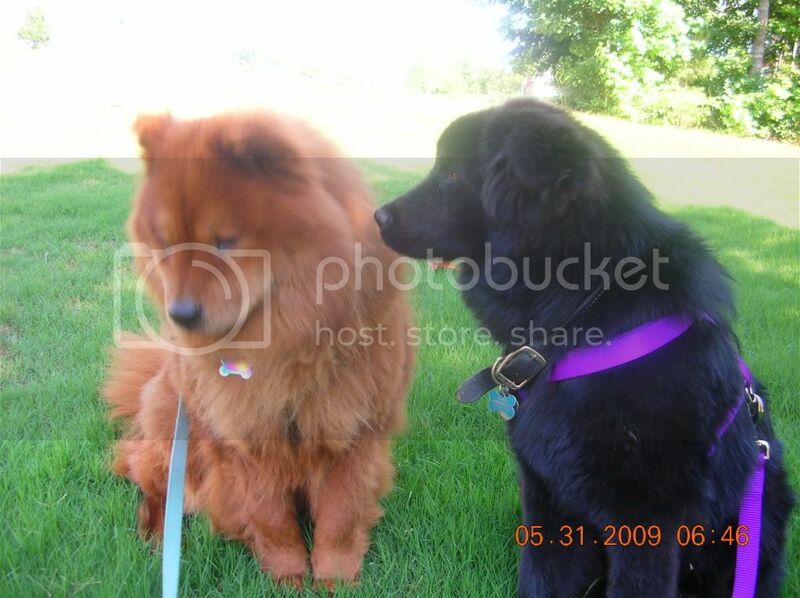 I use the gentle leader harness for chows that pull. It works very well and they can't get it off. 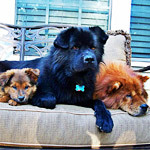 The large has fit both a 51lb chow and a 75 lb chow. Teddy is now about 80lbs and it does not fit him any more. He has a fabric martingale collar that I do have to tighten after I put it on or he does slip out of it.